adidas sizing converts slightly differently compared to most American shoe brands (except New Balance). North American brands use a factor of one between US and UK sizes – meaning a US 10 size converts into a UK 9. 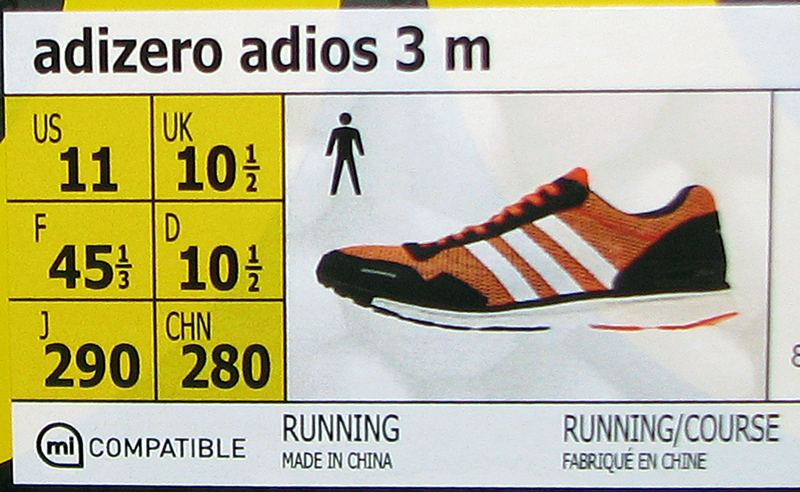 The adidas centimeter sizing progresses linearly with a half centimeter difference between each US or UK size. Like any other brand, only the centimeter size represents the true length of your feet. When in doubt, use the centimeter size as a reference when converting sizing between brands. For example, let’s say that you wear a US size 7 in adidas which translates into a CM size of 25. If you need to find the Nike equivalent, go to the Nike size chart, and look for the CM 25 size. You’ll see that it lines up with US 7.5, so an adidas US 7 equals US 7.5 in Nike. Within the women’s conversion chart, only the US sizes change – the UK, FR and JP sizes stay the same. Again, when in doubt, refer the CM size.